If you want to succeed in business nowadays, try eCommerce. Offering goods online is already widespread, however new e-Shops pop up every day like mushrooms after the rain. Want to start an online store but don’t know what to begin with or what to consider at the outset? This blog post is a collection of 7 simple guides that will help you avoid the most frequent difficulties on your way to creating an online store. They will help you understand how to make this store a success and save lots of money and effort making decisions. Are you ready to read on? Ok, let’s start step-by-step and when we finish you’ll have a clear notion of what to do to promote your business online. In fact, some of the platforms (like Shopify, for instance) are already hosted, but most of them require a server for your site files and database. Here you will face several options. Hosting can be shared (which means that you share the same server with other site owners); VPS (this type provides you with a separate “container” on the server); dedicated server (you are the one and only user of the server), and cloud hosting (this is a special case where your site is hosted on many servers at the same time). But what about free hosting? It is also available, but not recommended for online stores. Free hosting does not guarantee any stability or security. PrestaShop is a rare exception. It offers secure and reliable free hosting for the engine users. You can host your PrestaShop site on an independent host as well. If you are reading this blog post, we can make an assumption that you are thinking of launching your first online store, in which case you’d better start with a shared hosting solution. The reason is that other options are more expensive and are better for well-established sites. Please note that shared hosting is not the best solution for Magento engine. If your store is powered by Magento, you should be ready to spend more money from the start. Hosting companies usually offer several types of shared hosting. You can start with the cheapest package, for example, and then migrate to an advanced one that is more business-oriented, if you need it, of course. But we advise you to come to an agreement about that with your hosting provider before the sign-up. The easiest way is to get it from your hosting provider when you sign up. It may be included in the “pro” plan or can be purchased separately for an additional fee if you’re starting with a basic plan. You can also get SSL from an independent provider. But then, you will have to get a dedicated IP from your host. The service is paid, so consider starting with some kind of advanced shared hosting plan rather than the most basic one, which does not include SSL. You should also make sure that the host you are going to choose, meets the specific requirements of the eCommerce platform you’re going to use. Most of the engines require a Linux/ Unix server with PHP 5x and MySQL 5x database, but some may have specific system requirements. For instance: WooCommerce and Virtuemart will need the Mod_rewrite module for SEO-friendly links activation. You should also think where your audience will be coming from. If you are targeting the US market, use industry leaders, such as Bluehost, InMotion, GoDaddy, HostGator or iPage. If you are going to sell your products outside North America, it makes sense to check national hosting providers or those which have servers in that country. That will speed up users’ access to your site. National hosts provide domain names with national extensions, such as .it for Italy or .co.uk for the United Kingdom. Hosting providers usually offer discounts to attract new customers but the renewal rates are normally higher. You can read this information on the hosting providers’ sites, but they usually hide it. Contact company support and ask about the renewal rates for the plan you are proposing to buy.  Hosting packages offer their customers a domain name for free. But everything is not that simple. Domain names with .com, .net and other popular international extensions are not that expensive (about $10-15 / a year only) and the free domain offer usually applies to the first year only. Want a domain name that has already been in use? Check domain auctions like Godaddy.com Auctions. There you will find domain names that are expiring or have been put up for sale. Visit ExpiredDomains.net to check all necessary information about expired or deleted domains. If you get your domain name as a part of the hosting package, it will automatically be hosted with your hosting provider. 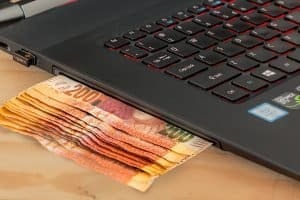 But if you get it separately, you will have to transfer it to your site host (the host should allow it) or redirect it (for cases when it will remain hosted with the domain hosting service, but connected to your site files and database on your site host). Both procedures may take a few days, but hosting companies usually provide a test domain to install your site so that you can start working on it as soon as you sign up. Your host should have detailed guides on how to redirect or transfer the domain name. 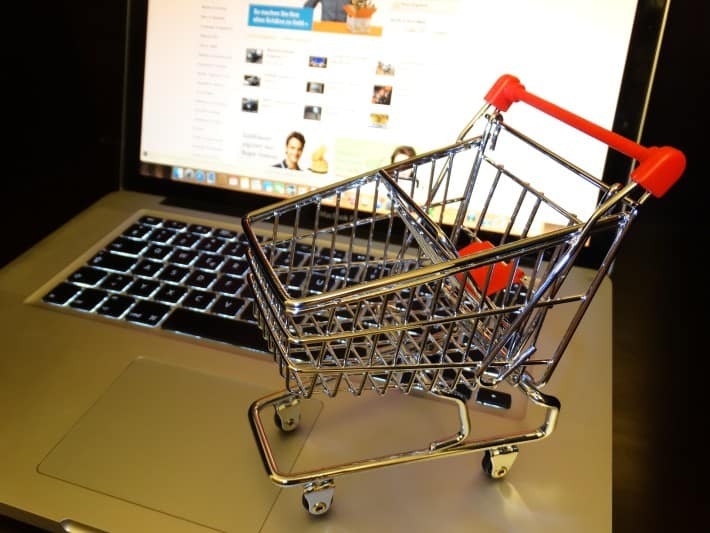 Not sure which eCommerce platform is perfect for your store? We will focus on the most popular ones. 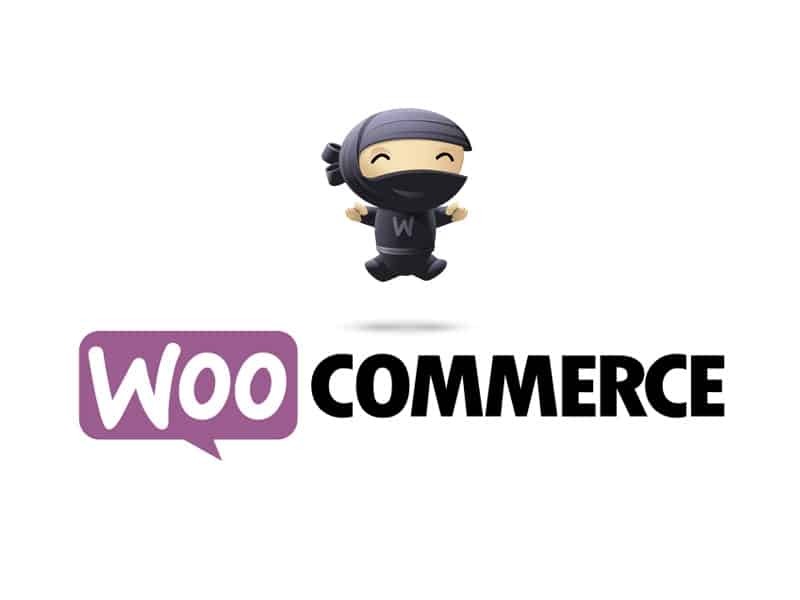 WooCommerce is a free e-Ñommerce plugin for WordPress, the world’s most popular content management system (CMS). Have experience of working with WP? Need a small or medium size store (say, with a few hundred to a couple thousand products)? WooCommerce is the way to go. The engine’s ability to combine a store with a content site is a great advantage. WordPress offers blog as an innate part of the engine. Besides, the add-ons like forums, social media platforms, calendars, booking engines, etc. most often come for free unlike most store engines. 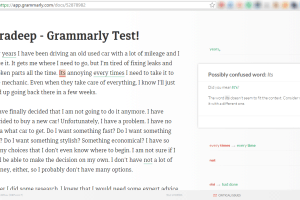 Everybody knows that WordPress is extremely easy to edit. Being an eCommerce extension for WP, WooCommerce displays the same flexibility, provided your site is not too big. Once your site grows to be really large, it becomes very resource consuming, and you will need an even more expensive hosting to keep it online and operating efficiently. In truth, the system lacks adequate tools to manage large numbers of products. Need to sell large numbers of products? Look for a more powerful and flexible eCommerce solution. PrestaShop belongs to the most popular open source shopping carts today. It is aimed at small to medium-sized businesses and comes with all basic commercial features and a very user-friendly back-end interface. Need to extend original PrestaShop functionality? 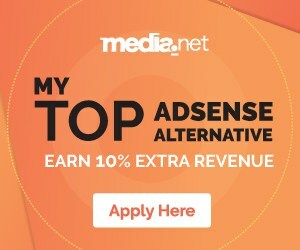 There are hundreds of advanced paid add-ons available for the purpose. The engine is better scalable compared to OpenCart or WooCommerce. It suits websites with thousands of products. What’s more, PrestaShop began to offer free hosting for stores based on the engine, which simplifies the procedure of starting a website. In short, if you plan to launch a medium-sized store, with lots of options out of the box, but are reluctant to invest too much time learning how to use your store back-end, PrestaShop may be an option for you. Never worked with any type of site before? Try OpenCart. 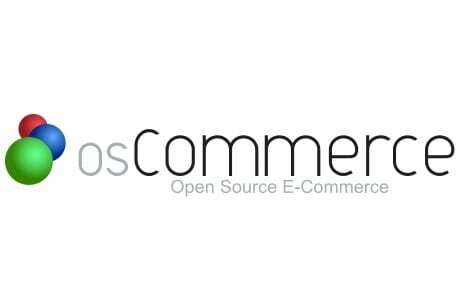 It is an open-source eCommerce engine that is very simple to manage. 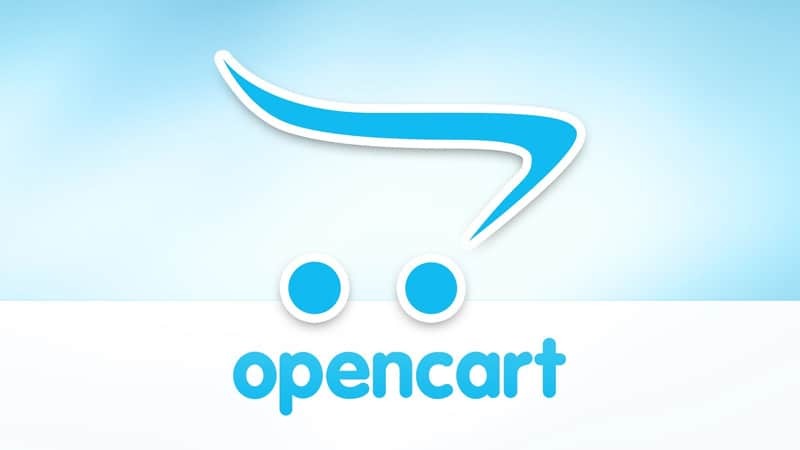 OpenCart does not have as many options as some other free engines (PrestaShop or Magento, for instance), but the simplicity of learning how to handle it compensates for their absence. Of course, many functions (like cross-selling, layered navigation, coupons, etc.) can be added later as paid additions. There are a variety of inexpensive extensions for OpenCart. If a small, easy to manage store is exactly what you need, OpenCart is definitely worth considering. BTW, OpenCart is very well documented. Magento has proved to be the most powerful among the popular e-Commerce solutions. 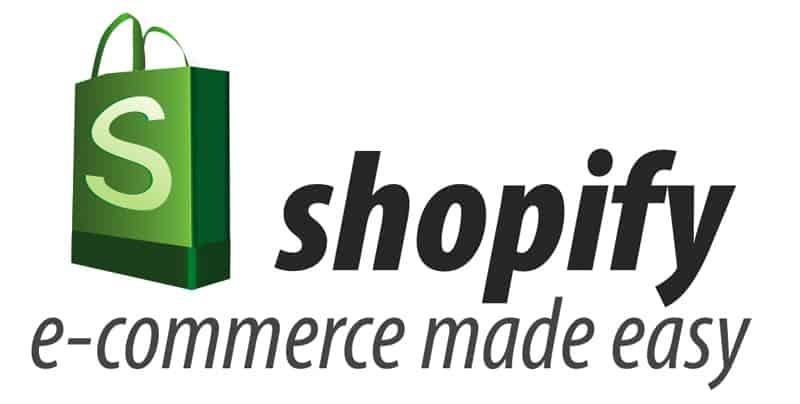 It is the market leader in the eCommerce sector. Magento is available both as a paid enterprise edition and as a free open source community edition. 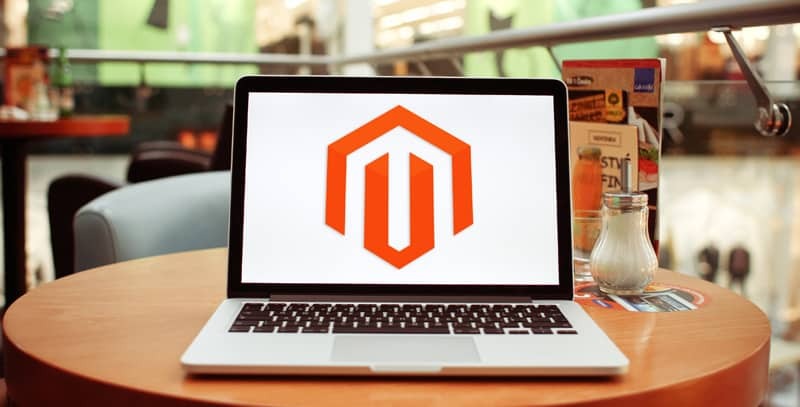 Serious companies often choose Magento because of its scalability, reliability, a large number of out of the box options, excellent support and powerful extensions. Indeed, it is a perfect fit for large stores with tens of thousands of products and intense traffic. However, we won’t recommend Magento for beginners. A set of its options may be really overwhelming. Magento is expensive to host and maintain and extensions for the platform are not cheap either. It makes sense to tell you a little about these two options at this juncture. The fact is that Zen Cart and OsCommerce can be called dinosaurs among available eCommerce solutions. Both of them are old, pressure and time tested. Both have loyal communities of developers and users supporting them. The engines are constantly being developed, adding new functions and keeping up with the latest trends. Nevertheless, for fairness sake, it should be mentioned that they are not as popular as most of the modern platforms. Due to that fact, you will find fewer extensions and weaker support for them. 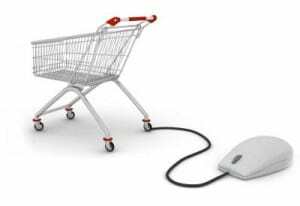 ZenCart and OsCommerce are not as easy to learn, but if you have somebody experienced with ZenCart or OsCommerce ready to help you, either shopping cart may be a viable option to power your store. VirtueMart is a Joomla! plugin for eCommerce. Joomla! is also a popular content management system, similar to WordPress. It is a bit more advanced and therefore a bit harder to learn. If you have experience with Joomla, VirtueMart will be a natural choice for you. Shopify is a paid service. They offer three plans. If you are a newbie, we advise you to start with a basic plan and then upgrade it if needed. They are very popular. It allows you to set up a site in a few clicks without getting hosting separately. Just choose a domain name and the plan you want to get. The main advantages include ease of use, fast and secure hosting, ease of customization with a range of admin panel tools, integrated payment gateways, PCI compliance, and 24/7 support. Sure, everything has its flip side. The main Shopify drawbacks are expensive add-ons, content limitations, absolutely new code language created specifically for Shopify, limited shipping options, virtually non-customizable checkout, limited support of multi-currency and multi-language sites. Shopify has a free trial version, so test it before taking the plunge. Trendy, appealing design is extremely important for any website, including eCommerce stores. There are several ways to create your store design. You can hire a team of professionals and get a really unique one. But, if choosing this option, please note that this path can prove rather expensive. You can save money and design a website yourself, which will be really complicated if you have poor or somewhat limited web design skills. You can also use a pre-designed template from a reputable provider, which, from our perspective, is the best solution. You will save your time, money and effort. The themes are not unique, but after you upload your content and make some adjustments, the website will look absolutely different, one-of-a-kind. 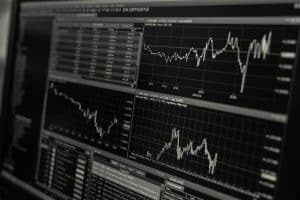 Besides, companies that sell templates follow the latest web design trends; they use only the latest technologies, as the competition on the market is really tough. So, you can be sure that your website will look and perform brilliantly on any gadget as they make them responsive, cross-browser compatible and packed full of other practical features. You will also get 24/7 support service with your template, which is also important. They will solve any issue you might have with the purchased theme quickly and professionally. If your budget is really small, try to use a free theme instead of premium one. 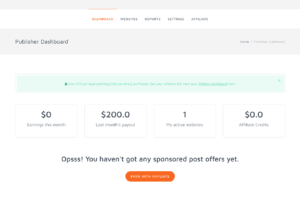 But remember that support is not available for free themes, so you will have to deal with any of your problems yourself, searching for the answers on forums and sites where you can ask questions. Below we would like to show you some samples of eCommerce templates available for any of the above mentioned platforms. Look how beautiful they are. Here are some eCommerce templates. Monstroid is an absolutely special universal WordPress theme with a number of child themes added monthly. 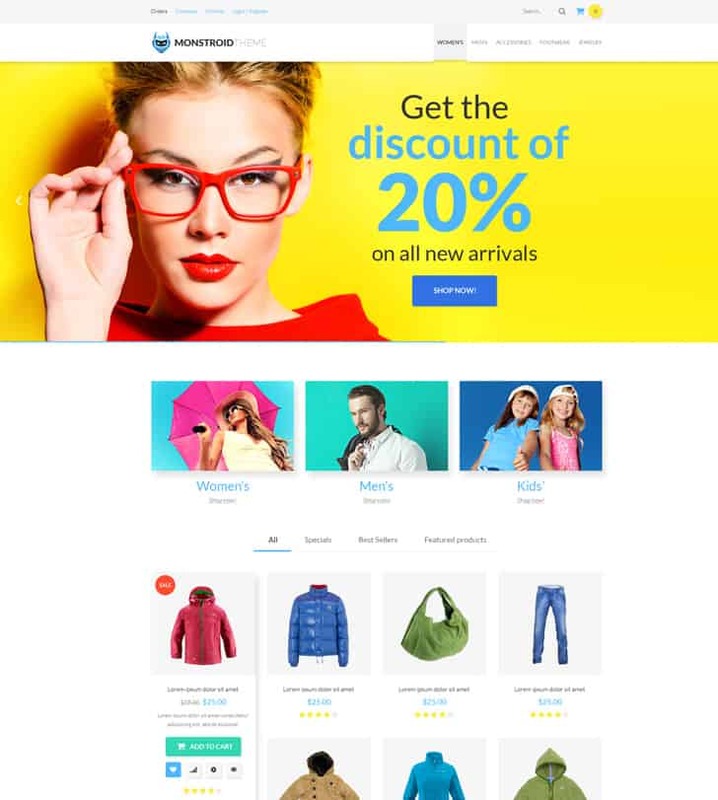 And it’s not just a WP theme, but a reliable WooCommerce theme that you can use to build any type of web shop, be it a fashion store, an electronics shop, a bookstore, a sports store etc. For more WooCommerce themes, please visit this page. 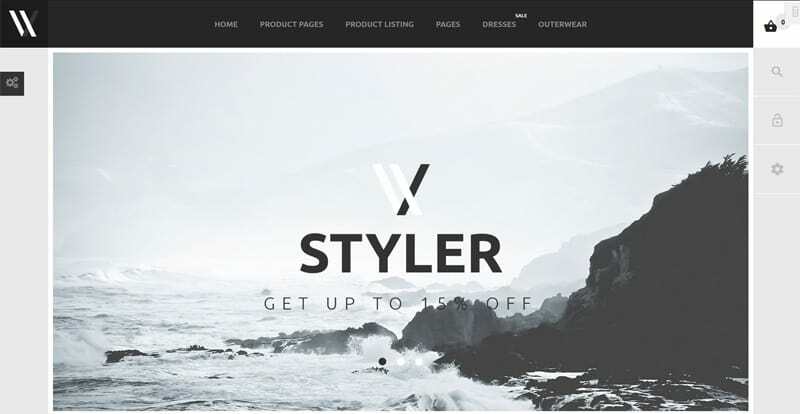 Styler is a stylish PrestaShop theme that will be just the fit for your fashion store. However, you can use it for other kinds of eCommerce websites as well (just replace the default content with your own one and you’re ready to go). And if you want to see 1000 more PrestaShop themes, check this page. 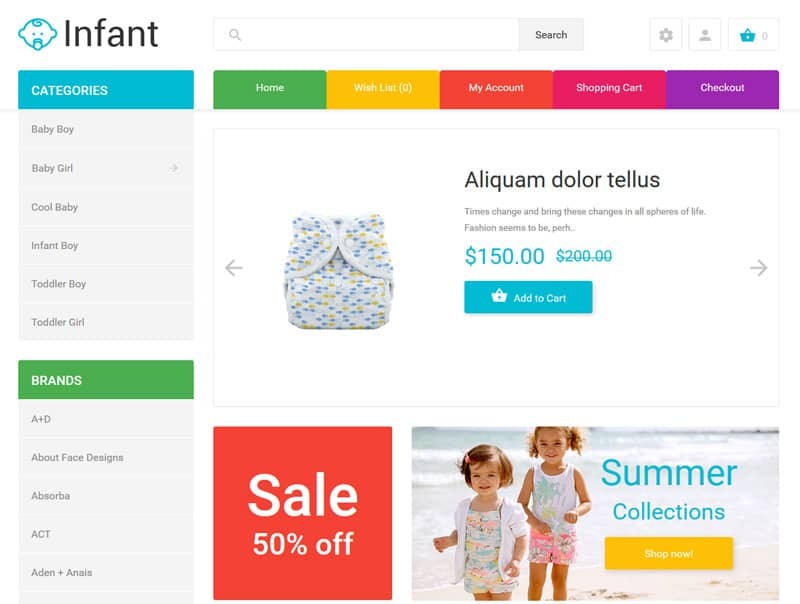 This cheerful infant clothing store template is one of OpenCart templates that are worth your attention. Due to it’s colorful layout, it is a perfect choice not only for a kids fashion store, but for a gifts shop or a flower shop too. Just replace the default texts, images, logo with yours and your own online shop is ready. This theme for fashion stores is one of Magento themes developed to make your eCommerce projects successful. It’s white background, pleasant color scheme and big call-to-action banners definitely will attract customer’s attention, so it’ll be very hard to live your site without any purchase. As you might guess, there are much more Magento themes to choose from. So it won’t be a problem to find the design for your future site. And of course there are lot of templates for Virtuemart, Shopify, osCommerce, ZenCart and other platforms. Click here to browse them all. Even if your site is up and running, there are lots of ways to make it more efficient, to boost its conversion, as well as get to know many other useful things. Below you can find 5 resources with all required tutorials, tips and tricks, life hacks and other useful stuff that will help you to make your online store even more successful. Infographics are a really fun way to learn complex stuff. You may try the technique right now. Below you can browse 9 resources where you can find infographics lists related to eCommerce. All the info gathered in the infographics may help you to run your eCommerce business and to know more about eCommerce. Payment options are vital for your business (for any business, actually). They should be safe and convenient for your customers. If you’re not able to make electronic sales, how can your online business survive? Without being able to receive payments electronically, your top notch site and high-ranking would all be for nothing. Today, this shouldn’t be an issue. It’s relatively easy to collect payments for goods and services from anywhere in the world via payment service providers. There are so many online payment solutions out there. But which ones can you trust? Is it a credit card, bank transfer, or real-time order? Here we will enumerate 10 of the most popular online payment solutions or best selections if you like such wording better. Google Wallet, PayPal, Amazon Payments, Dwolla, Authorize.Net, WePay, ACH Payments, Stripe, 2CheckOut, WooCommerce. We sincerely hope that everything outlined above will help you start a business and it will be a success. Have we missed anything? Please, feel free to submit your additions at the comment section. They will be highly appreciated. OMG! this blog post is just awesome. I am thinking to start an eCommerce store OR I’ll affiliate with any :D! Thanks for sharing such a detailed guide. Now its the era of online shopping. and many finds a profitable business also and it is. so these tips will surely help people who want to start their online shopping website. Now-a-days everyone doing online shopping to save their time and money. In country like India eCommerce is growing rapidly and following guides are much more than valuable information. As you said online presence is a must especially when we are talking about India. Especially in India. ecommerce sites are growing rapidly these days. It’s important to have their presence online and the great way to start is to get a better hosting and build their audience through blogs.